Late Breaking News: California dairy producers have given a thumbs up to the California Department of Food and Agriculture’s Quota Implementation Plan, should they approve a Federal Milk Market order in a future referendum. CDFA conducted the referendum of all market milk producers in the state of California and reported that 703 valid ballots out of a possible 1059 were received. The final tally showed that 66 percent of the state’s eligible producers participated, with 613 or 87 percent voting in favor and 90 or 13 percent opposed. The USDA has issued a Recommended Decision on a California Federal milk market order but has yet to issue its Final Decision. Once that happens, informational meetings will likely be held in the state, with a final producer referendum after that to approve or give it a thumbs down. Searching for a "silver lining" in dairy's dark clouds is difficult these days. Some of those clouds include rising global milk production and an abundance of milk powders in storage both at home and abroad, with record low prices at the CME recently. There's also uncertainty over what changes the EU will make in its intervention program but it appears New Zealand is facing drought, China's dairy imports are looking encouraging, and the first Global Dairy Trade of 2018 was up 2.2 percent, so that perhaps is the silver lining. 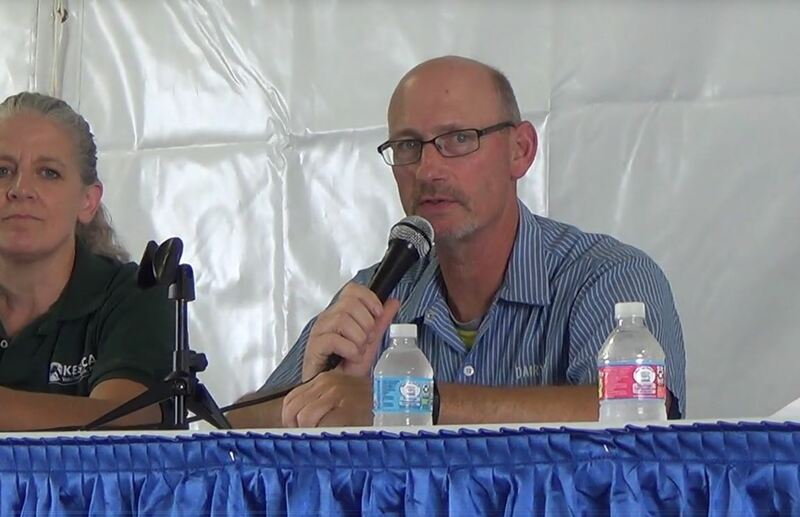 Jerry Dryer, analyst and editor of the Dairy and Food Market Analyst newsletter, said in the January 8 Dairy Radio Now broadcast that the EU is indicating that it will stop buying skim milk powder (SMP), in effect, ending the world support program for SMP, possibly sending prices “very very low,” he warned. “We have some rough sledding ahead of us on the powder side of the business,” he said, “despite the increasing interest from China and the slowing of production in New Zealand because of drought. All of these international developments are putting a lot of downward pressure on U.S. milk prices, according to Dryer, particularly the European situation, but dairy farmers are also under a lot of price pressure and he predicts a dramatic slowing in milk production in the U.S., which should help firm up the market mid-year. Meanwhile; the Agriculture Department lowered its 2017 and 2018 milk production forecasts in its latest World Agricultural Supply and Demand Estimates report which was issued Friday morning. The 2017 estimate was reduced, based on the most recent data and the 2018 projection was reduced due to slower anticipated growth in the dairy cow herd combined with continued slow growth in milk per cow. The 2018 dairy product price projections were reduced due to slowing domestic demand and global competition. The 2018 Class III and Class IV milk price forecasts were reduced, based on the lower product prices. I’ll report more details next week. California dairy producers have given a thumbs up to the California Department of Food and Agriculture’s Quota Implementation Plan, should they approve a Federal Milk Market order in a future referendum. CDFA conducted the referendum of milk producers in the state and reported that 703 valid ballots, out of a possible 1059, were received. The final tally showed that 66 percent of the state’s eligible producers participated, with 613 or 87 percent voting in favor and 90 or 13 percent were opposed. The USDA has issued a Recommended Decision on a California Federal milk market order but has yet to issue its Final Decision. Once that happens, informational meetings will likely be held in the state, with a final producer referendum after that to approve joining the Federal order program. Speaking of California, the nation's Number 1 milk producer's February Class I milk prices fell to the lowest level since July 2016. The CDFA announced the northern price at $15.47 per cwt., down 60 cents from January and $2.66 below February 2017. The southern price is $15.74, down 61 cents from January and $2.66 below a year ago. The February Federal order Class I base price will be announced by the USDA on January 18. Cash dairy product prices also fell the second week of the new year at the Chicago Mercantile Exchange as traders awaited Friday morning’s World Agricultural Supply and Demand Estimates report, which included the latest milk production and milk price estimates. The Cheddar blocks saw daily slippage until Friday when they reversed and gained 1 3/4-cents to close at $1.4550 per pound, still down 4 cents on the week and 27 cents below a year ago. Friday’s large crash was the barrels plunging to an unbelieveable $1.2175, down 17 1/4-cents on the week, the lowest CME barrel price since July 30, 2009, and 42 1/4-cents below a year ago. They’re also a whopping 23 3/4-cents below the blocks. Six cars of block traded hands on the week at the CME and 37 of barrel. Dairy Market News reports that Midwestern cheesemakers continue to receive offers of discounted spot milk, although above the discounted prices of previous weeks. 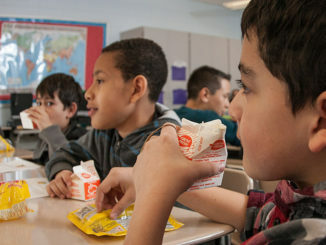 Spot milk prices ranged $1.50 to $3 under Class. Some cheese producers are cutting back on production and taking time off before gearing up for the Super Bowl. Others have begun to ramp up and are operating seven days a week. Cheese sales are generally meeting or ahead of seasonal expectations but the market prices are creating some anxiety among Central cheese contacts. The spot butter fell to $2.1550 per pound Thursday, lowest price since May 10, 2017, but it closed Friday at $2.16, down 7 3/4-cents on the week and 65 cents below a year ago. Seven cars traded hands on the week. Plentiful cream and low multiples are prompting some Western butter makers to actively operate churns near full capacity, according to DMN. Domestic consumer demand has slackened, as expected, between the winter and spring holiday baking seasons. While some retailers are using the lull to restock shelves, others are urging butter makers to hold back on shipments until next month. Inventories are growing. 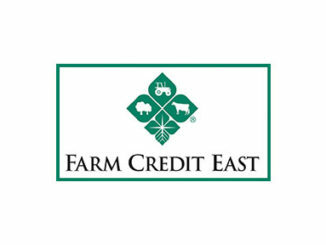 Cash Grade A nonfat dry milk closed Friday at 66 3/4-cents per pound, down 1 1/4-cents on the week and 36 1/2-cents below a year ago. Fourteen carloads found new homes on the week at the CME. On a brighter note; November export data showed strong volumes for cheese and whey, according to FC Stone’s January 9 Early Morning Update. 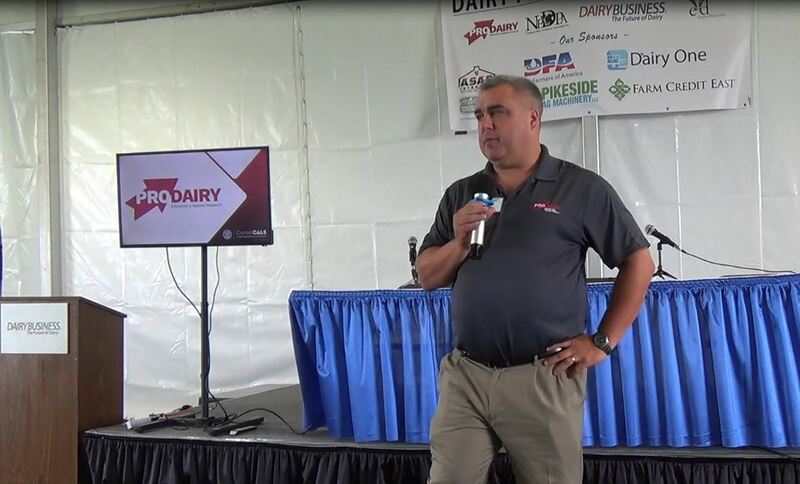 The International Dairy Foods Association (IDFA) offered some comfort in a press release concerning President Trump’s remarks at the American Farm Bureau Federation’s annual meeting this week. “The President’s comments on the NAFTA seem to indicate a deepening understanding of the critical connection between trade agreements and the farming community. He has heard from rural America that trade is woven into the fabric of our businesses. We are pleased that he is listening and hopeful for positive momentum moving forward,” the IDFA stated. “With one month of data yet to be reported for 2017, U.S. butter imports have eclipsed the record-breaking volumes of 2016. The Emerald Isle accounts for almost two-thirds of the total. Americans simply cannot get enough Irish butter,” according to Sharp. Back on the farm; the Agriculture Department’s latest National Milk Cost of Production report shows November’s total milk production costs were down from October but up from a year ago. Total feed costs averaged $10.70 per hundredweight (cwt. ), up 4 cents from September, 14 cents below the October figure, and 36 cents above November 2016. Purchased feed costs, at $5.83 per cwt., were dead even with September, down 4 cents from October, but a penny above November 2016. Total costs, including feed, bedding, marketing, fuel, repairs, hired labor, taxes, etc., at $22.89 per cwt., were up 7 cents from September, down 17 cents from October, but 72 cents above a year ago. Feed costs made up 46.7 percent of total costs in November, down from 46.98 percent the month before and 46.6 percent a year ago. 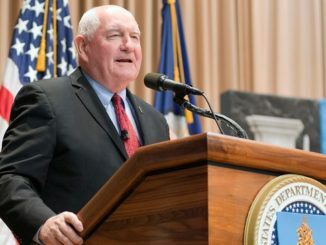 One more item from Farm Bureau’s annual meeting; the Trump Administration drew praise from the IDFA regarding the Administration’s announcement at the meeting of the recommendations made by the Interagency Task Force on Agriculture and Rural Prosperity. Announced at the annual meeting, “The administration’s task force recommendations highlight the critical connection between investing in the rural workforce and strengthening American manufacturing,” Dykes said. 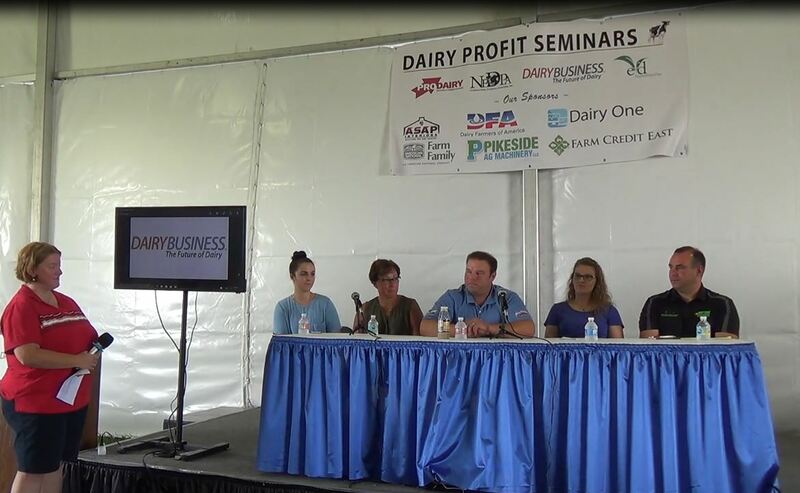 “With the training and educational investments, expanded apprenticeship programs and access to career development programs the President outlined today, dairy companies will be able to continue providing job opportunities in thousands of rural communities across the United States,” IDFA stated.